John, joined the Volunteer Fire Department in Maywood in 1978 and began his career as a Firefighter / EMT in 1985, with the Cliffside Park Fire Department. In 1998 he was hired by the City of Passaic Fire Department where he is currently assigned as Lieutenant on Ladder Co. 1, formerly assigned to the Training Division. John is an instructor at the Bergen County (NJ) Fire Academy, and an Adjunct Instructor at Kean University in Union, NJ, a member of the NJ State Firefighter Health and Safety Advisory Committee, and a former Team Leader for the Bergen County Prosecutor’s Office Arson Task Force. 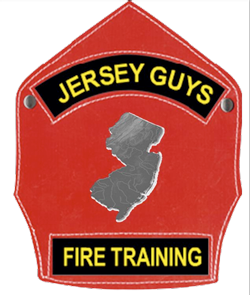 He is a founding partner of “Jersey Guys” Fire Service Training LLC. John holds NJ State Certifications as Fire Inspector/ Fire Official, Level 2 Fire Instructor, Confined Space and Hazardous Materials Awareness Instructor, IMS Level 2 and 3 Instructor and Fire Investigator. John has developed and presented educational programs for various fire conferences and schools across the country. Lieutenant Lewis is the Co-Author of the New Jersey Division of Fire Safety, Statewide Rapid Intervention Awareness Curriculum. Robert Moran is Fire Chief of the Brewster (MA) Fire Department. He retired in January of 2011 after a 25 year career with the City of Englewood (NJ) Fire Department where he served as Chief of Department from 1998 to his retirement. Chief Moran holds a Bachelors Degree in Fire Science from New Jersey City University, a Masters Degree in Administrative Science from Fairleigh Dickinson University, National Certification as a Certified Public Manager, and Chief Fire Officer (CFO) Designation from the Center for Public Safety Excellence and the Massachusetts Fire Service Commission. He is a New Jersey Certified Level II Fire Instructor, Haz Mat Technician, Fire Inspector, and Fire Official. During his career in New Jersey Chief Moran served as a Safety Officer on the New Jersey Urban Search and Rescue Task Force 1, a member of the Mid Bergen Hazardous Material Team, Mutual Aid Coordinator for both the Mid Bergen and East Bergen Mutual Aid Associations, a member of the Bergen County Prosecutor’s Office Arson Task Force, and a 29 year member and former Chief of the Leonia Volunteer Fire Department. He is a founding partner of “Jersey Guys” Fire Service Training LLC, and an Adjunct Instructor for Kean University and the New Jersey Division of Fire Safety.